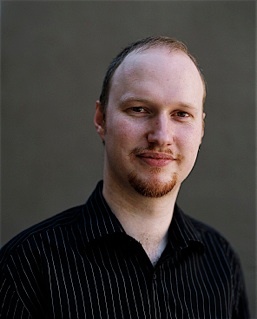 His first professional project, Dreamfall: The Longest Journey, an adventure game developed by Funcom for Aspyr, garnered awards and nominations across the industry, including MTV (Best Game Soundtrack nomination), IGN (Best Original Score nomination), Gamespy (Music of the year), Movie Music UK and many others. With his career launched, Willett went on to produce further soundtrack work and met concert commissions, premiered by the Prague Philharmonic under the baton of Andy Brick, and the Oslo Studio Orchestra and Choir under the baton of Grammy-award winning conductor Arnie Roth. Leon’s recent scoring work includes feature film The Putt Putt Syndrome (starring Jason London and David Chokachi); the adventure game Hoodwink (E1 Studio, EA Origin) and trailer music placements for Starwars: The Clone Wars, Season V.
Leon Willett is an award-winning film, game and concert hall composer. Born in Edinburgh, UK, but raised in Barcelona, Spain his interest in music began at an early age. Spanish guitar lessons soon piqued his interest in all styles of music and by age 14 he was producing electronic music and studying jazz performance. Leon earned a degree in Music at the University of Salford (specialising in composition and performance) where he recorded an album leading a jazz trio and performed at numerous concerts throughout the UK. After returning to Spain, Willett furthered his studies with symphonic composer Joan Carles Sender, and began scoring short films at the Barcelona film school, ESCAC – seizing the opportunity to develop his understanding of music as a dramatic resource.